When I took up playing the recorder in my childhood, I especially liked playing modern repertoire with all the nice special effects. It stimulated my fantasy. Years later, when I started to study the flute with mostly classical repertoire, I totally forgot these great effects. I was too busy trying to control my instrument. During one of Wil Offermans’ master classes, I again got in touch with extended playing techniques. A whole new world of possibilities opened up before me. Not only did I discover new ways of playing the flute, I also found that studying these techniques increased my control over the instrument. Furthermore, it had a very positive effect on my regular playing technique. I hope you wil enjoy this website and I hope you’ll find it useful! Rogier de Pijper (1982) is a Dutch flutist. For his master studies he did research on how to incite flutists and composers to use extended techniques as new sound possibilities on the flute. Rogier studied music education at the Rotterdam Academy of Music and the flute at the The Hague Royal Academy of Music. In 2011 he finished his master studies for the flute at the Tilburg Academy of Music where he specialized in extended techniques. 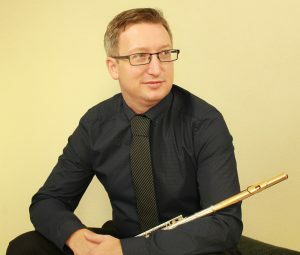 Until 2013 Rogier was a teacher of extended techniques for the flute at the Tilburg Academy of Music.